Looking for something to watch tonight? Time is precious and you don't want to spend time searching for a movie to only be disappointed with it in the end. So that's why I've brought you two movies for tonight. The movies I review here give you an idea of what's good to watch any time you want to quickly get a movie and start watching it. 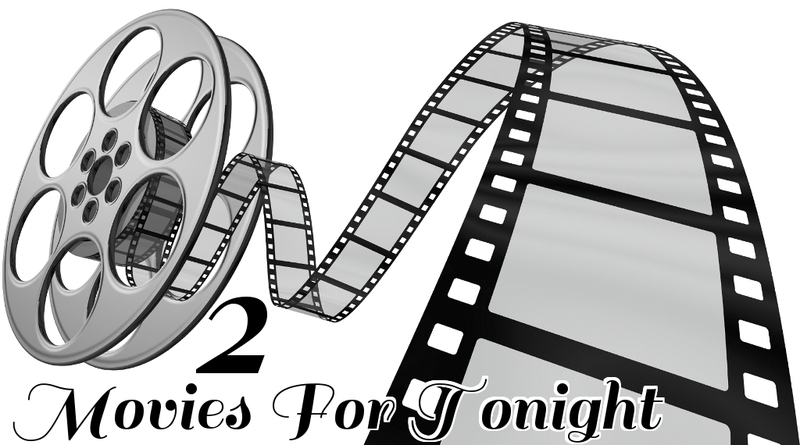 This week I'm giving you a movie that I wish I would have avoided and another that's worthy of your time. The first movie... Point Break. I want to start out by saying I'm bias. I have been and will forever be one of Keanu Reeves biggest fans. I mean come on... Speed?!? Need I say more? So the fact that he doesn't even make a cameo appearance in the remake let me know right away something was up with the film. I saw the preview in theaters and thought it looked a little too over the top. Well this week I finally sat down and watched Point Break. 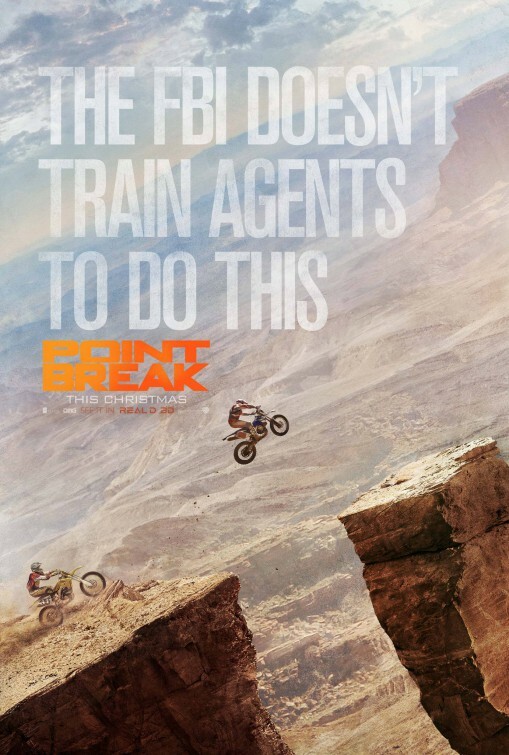 Point Break follows a similar pretense of the original plot. Guys committing crimes while doing extreme sport activities like jumping out of planes and surfing big waves. That wasn't my issue with the film. My issues were things like the main character literally trying to have the same mannerisms as Keanu portrayed in the original. Another issue... The movie is two hours long and at about the hour and a half mark they realized it's been an hour and a half and rush the rest of the story. They just start killing people off and assuming you know the reason. In my opinion stick with the original. So what if there wasn't any CGI or special effects in it. It's a classic for a reason. The original gives the idea that we could all be a Johnny. It makes us really believe we could surf those waves, jump out of that plane because it all looks real. It's things that we think we could actually do. The remake is ridiculous when it comes to believing these average guys could pull off some of these amazing stunts and commit crime at the same time. I'm all for a good movie but this was just a horrible remake. The second movie... 13 Hours: The Secret Soldiers of Benghazi. Originally this was never a movie I wanted to watch. This type of movie doesn't appeal to me. It just doesn't jump out at me to watch. So when I sat down to watch this movie, I've heard a lot in the news about Benghazi but honestly, didn't know much besides the fact that Americans were killed and they were left without much help. I try not to get political on here at all because it's just not something I want to share my views about. During this Presidential election, I've heard a lot about how Hilary Clinton is to blame. That's all I went into this movie really knowing about the situation. Whether she was to blame being true or false, I didn't know. The movie is grueling. In the sense that it's portraying exactly what happened and as close to what really went down according to the men who survived it. It's bloody, it's violent and it's non stop for the majority of the movie. You find yourself rooting for these men. You find yourself hoping that they all survive. You start getting angry at why no one is coming to help them. You start getting nervous that they won't make it out. For me I hadn't followed the news enough to know if any of them got out alive. I was on the edge of my seat waiting and hoping. I don't want to ruin the movie for anyone who was like me and didn't follow it in the news. If you haven't seen it you really should. It gives you the facts about the situation and gives you a glimpse into what these guys experienced. LOVE Point Break but I did not like the remake of the movie. Keanu and Swayze made that movie EPIC. 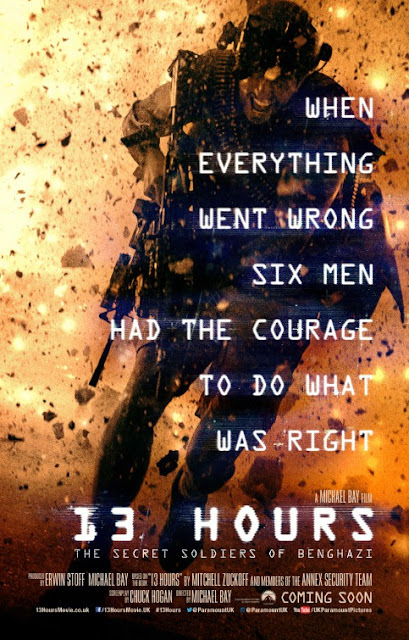 I can't figure out if I've seen 13 Hours or not, but looks good. This is something my husband would enjoy - I may suggest for us to watch it tonight. I haven't seen either movie! I haven't seen either but they both look interesting to me!